A senior Russian lawmaker has commented on the steps Moscow should take if the International Olympic Committee imposes any penalties on the national team. MOSCOW (Sputnik) – An IOC representative told the R-Sport agency that recent media reports on the possible barring the Russian national anthem at the 2018 Winter Olympics were speculations as no particular decisions had been made. The representative pointed out that two IOC commissions on Russia had not completed their work yet and the corresponding procedures had not been fulfilled, and it was thus too early to draw any conclusions. The statement comes after the New York Times reported that the International Olympic Committee was considering several possible penalties against Russia in response to doping violations, including barring the country's national anthem at the next Winter Olympics. Top officials at the IOC could also bar Russia's athletes from taking part in the opening ceremony at the games in Pyeongchang, South Korea or force them to compete under a neutral flag or wear neutral uniforms, according to the media outlet. Earlier, the IOC established two commissions to decide on appropriate sanctions and measures, one led by IOC member Denis Oswald, tasked with re-verifying doping probes of Russian athletes from the 2014 Olympic Games in Sochi, another one headed by former President of Switzerland Samuel Schmid and focused on the alleged involvement of the Russian Ministry of Sport and some other Russian government agencies in doping abuse among the country's athletes. According to Deputy Speaker of Russia's lower house of parliament Igor Lebedev, Russia should skip the 2018 Winter Olympic Games if the International Olympic Committee imposes any penalties on the country's team. "Under any IOC decision, if there is even the tiniest penalty against our team … I think that we should fully ignore these Olympics in the event of any punishment of our team," Lebedev said. The lawmaker added that Moscow should send a corresponding warning to the IOC. Later on, Russian lawmaker Dmitry Svishchev said that The New York Times article about possible sanctions against Russia over its alleged doping program is a tool being used to make the IOC ban Russian athletes from competing in the 2018 Winter Olympics. 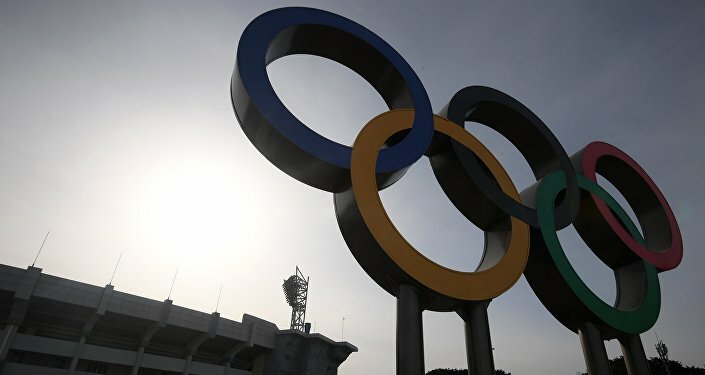 “I think that this article was prepared in order to exert pressure on the International Olympic Committee and other non-government organizations, including the World Anti-Doping Agency [WADA] that are linked to the doping issue… Big media outlets like The New York Times must not disseminate information citing non-verified sources of information before the IOC Executive Board’s session. It is obviously being done intentionally. I think that somebody paid to The New York Times for that article or ‘asked’ this seemingly respected outlet to publish such information,” Svishchev, who is a member of the Russian State Duma's sports committee, said. He recommended US journalists to cover issues happening in their country, such as the sexual harassment scandal in Hollywood. The lawmaker added that he planned to meet with the author of the New York Times article to receive explanations. "I have contacted the New York Times office in Moscow and informed them of the official request I prepared… In the near future they will either organize for me a meeting or a conversation with the author of the article or responsible persons in the New York Times and will explain to me what sources informed about doping in Russian sports and providing information specified in the article they have," Svishchev said as cited by his press service. "I have questions to this American newspaper, to which I would like to receive answers," he said.